If you are in the Grand Rapids area, I'd love to suggest a great benefit for you to attend! "liberating Ethiopia from poverty by empowering it's youth through the whole brain benefit that art provides. It seeks to help Ethiopian youth develop self-sustainability by teaching creativity while funding their education." Sometimes it can be difficult to describe how important art is for children, especially when the art programs in this country are the first to be cut from our schools. This video is directly from the Art Aid website and it perfectly captures how they incorporate art into education for children in Ethiopia. 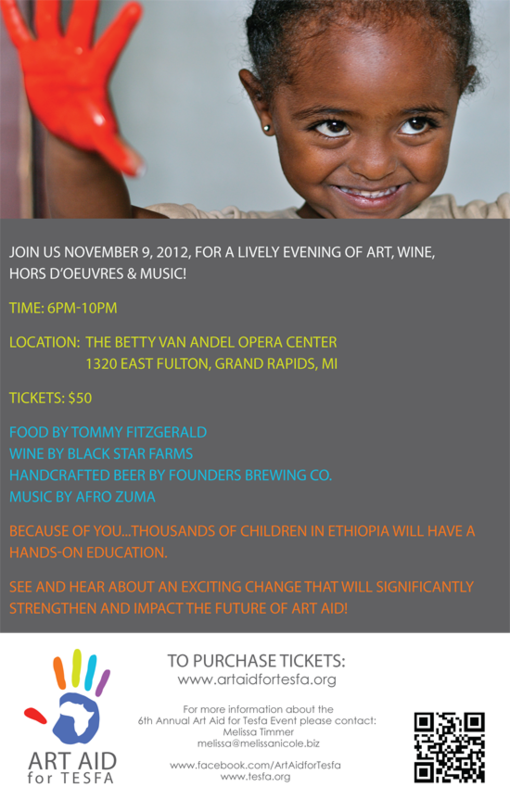 By attending the Art Aid Benefit on Friday, November 9th, you are supporting the very faces you see above. YOU are helping to provide opportunity for a children to have hands-on education. Something that is a precious gift for any child in Ethiopia. You will be able to view the artwork of many children who have benefited each year from this cause. Interested in partnering? Purchase a ticket or Donate Here.